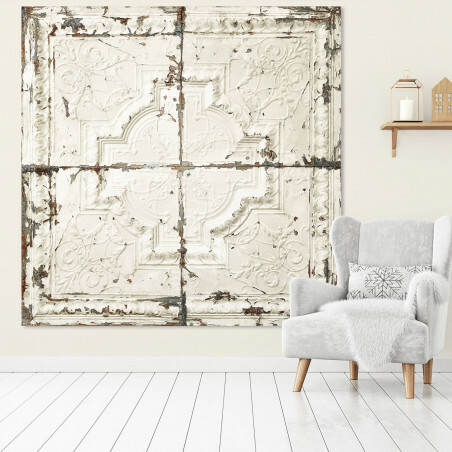 Product available within 2 weeks By faithfully representing the original Victorian tiles, a famous piece of decoration widely used in the US at the beginning of the 20th century, our new Tin Tiles wallpaper collection will definitely bring a unique and stylish touch to your interior. Seeking for excellence, every reproduction is based on high resolution pictures of genuine items found by our incredible antique dealer collaborator. 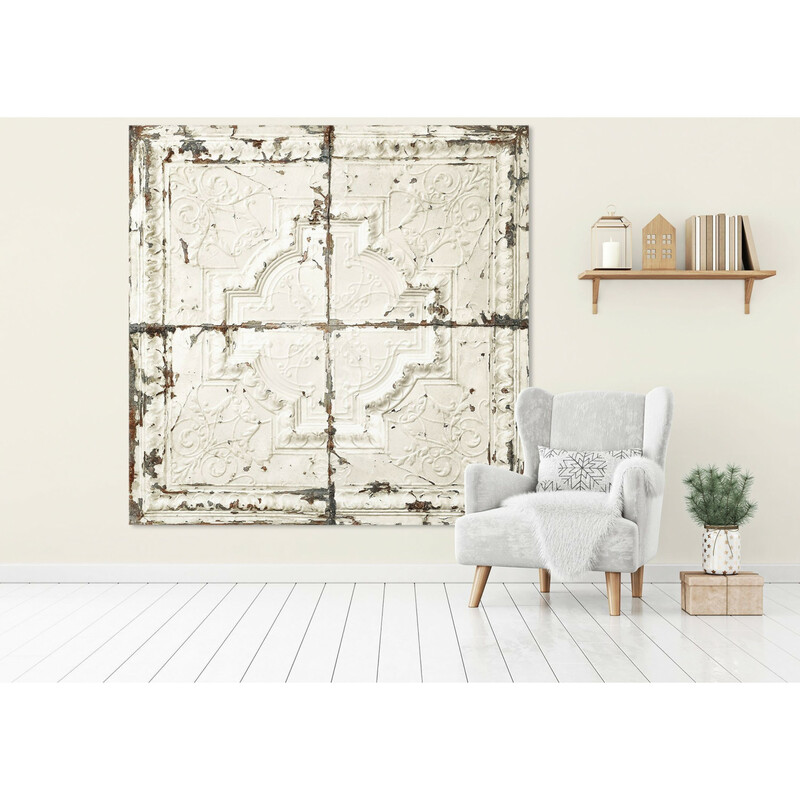 Every single detail is faithfully transposed with a complete realism preserving the authenticity and delicacy of the original pieces. The patinas of the metal and the paint chips are assumed and even spotlighted. The Past asserts itself with nobility.